Apple is coming up with its new iPhone edition after its latest iPhone 4S. It comes up with a much larger screen to conquer the market than any other top selling devices. The decision to use a larger screen for the new iPhone would put the Apple device in line with the majority of top Google Android phones. 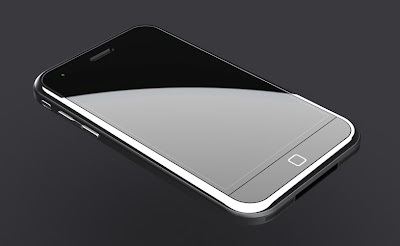 A 4” LCD panel would be an increase of 0.5” on the current iPhone 4S, and compare more favourably with top-selling devices such as the 4.2” Samsung Galaxy SII and the Motorola Razr’s 4.3” screen. The change would also be in line with reports that Apple co-founder Steve Jobs was working on a “radical redesign” of the iPhone up until very shortly before his death earlier this year. Japanese blog, Macotakara claim that Hitachi Displays and Sony Mobile Display Corporation have begun to ship the displays for a “new iOS device.” Both companies are also known to be working on screens for the iPad 3. Conflicting rumours, however, have suggested that the iPhone 5 may adopt either a new, teardrop shape or simply be an enlarged iPhone 4S. iLounge, a respected Apple blog, claims the new model will be 8mm longer and use an aluminium metal case, citing rumours from Digitimes. When users will find out for certain is also subject to debate; a March launch has been suggested for the iPhone by a number of blogs, who have also suggested it for the iPad 3. Hexus, however, has claimed that Apple could make a rare announcement at February’s Mobile World Congress in Barcelona. The latest iOS software contains references to a new iPad, iPhone and Apple TV. Previous rumours had suggested that the launch of the iPhone 4S was originally planned to be for the more comprehensively redesigned product iPhone 5. Floods and other events disrupting the supply chain, however, may have been behind Apple's decision to launch the upgraded 4S, but upgrade patterns for the original iPhone have adopted a similarly incemental cycle.